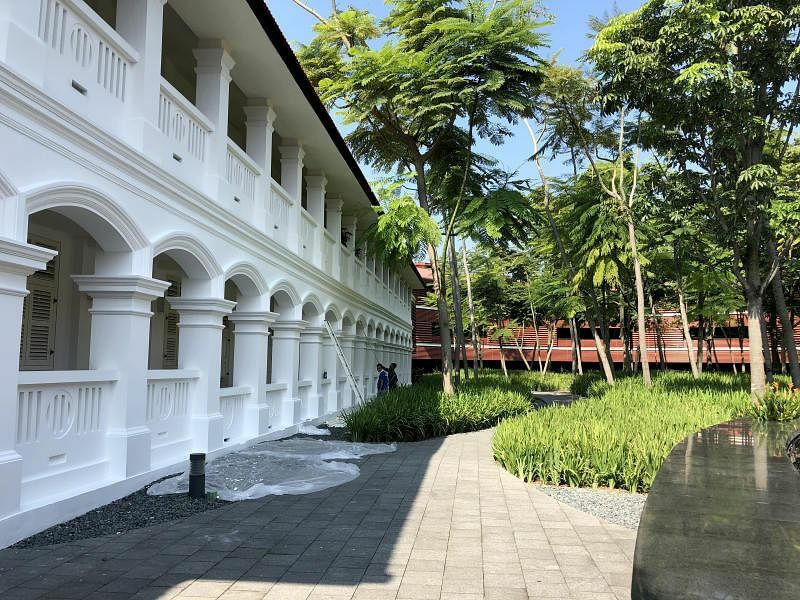 SINGAPORE - The sprawling, secluded Capella Singapore hotel in Sentosa has been named the venue for the historic summit between United States President Donald Trump and North Korean leader Kim Jong Un. The two leaders are set to meet at 9am next Tuesday (June 12). Here are six things you should know about one of Singapore's swankiest digs. The hotel, which opened in 2009, was designed by renowned British architect Norman Foster. It was restored from buildings that used to house the British officers of the Royal Artillery and their families in the 1880s. Its 112 guestrooms and villas face out onto lush vegetation and the South China sea. Basic rooms start at around $680 a night, while the three-bedroom colonial manor could set you back $10,000 a night. 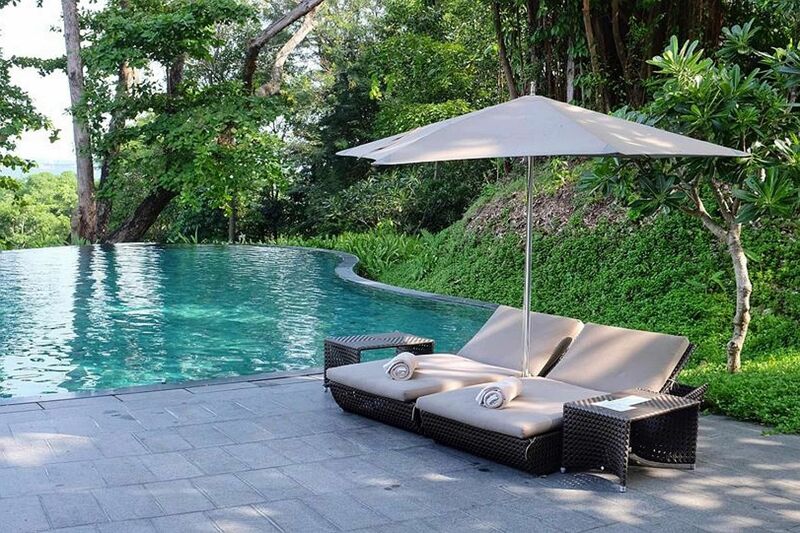 Capella Singapore is nestled amid the greenery of Sentosa, a resort island formerly known by the grim moniker of Pulau Blakang Mati, which in Malay means the "Island of Death from Behind". Its current name means peace and tranquillity in Malay, appropriate for a historic peace summit. Sentosa is connected to mainland Singapore by road, monorail, pedestrian boardwalk and cable car. The Capella Hotel Group is owned by the Kwee family of Pontiac Land Group. The brand is now expanding across the region, with upcoming hotels under the Capella brand in Ubud, Bangkok, Sydney and the Maldives. 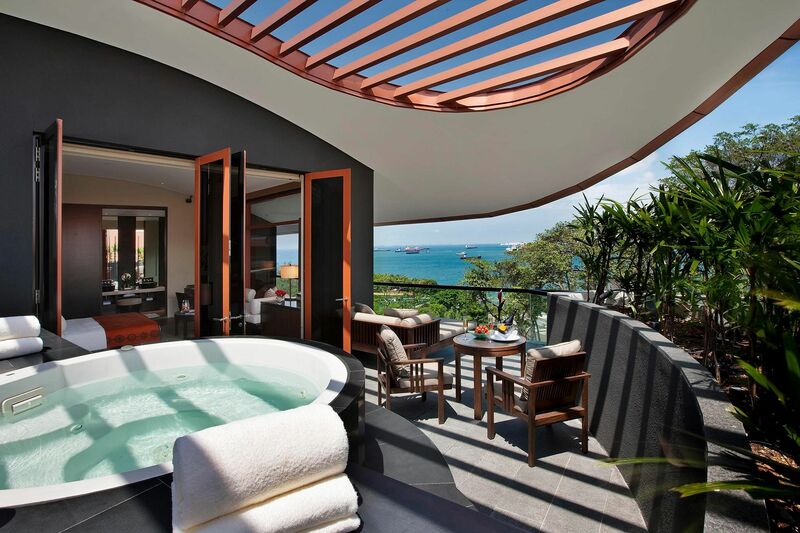 There are already Capella hotels in Shanghai, the German city of Dusseldorf and Marigot Bay in Saint Lucia. 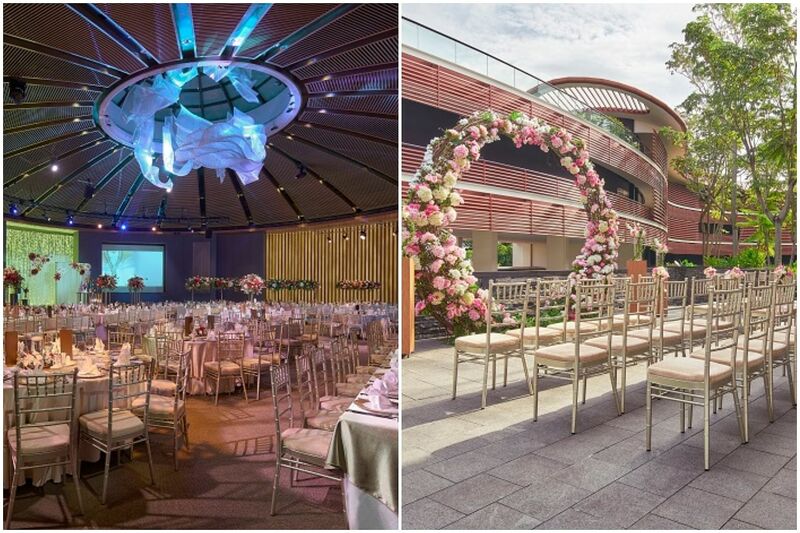 Capella is among one of the most expensive hotels in Singapore in which to get married. Prices can exceed $2,400 per table, depending on the menu. Still, the premises - including the sun-drenched portico and the circular Grand Ballroom with its glass-domed skylight and room for 400 guests - have been the dream setting for many a newlywed. Among those who have held their weddings there are home-grown pop star Stefanie Sun and local actor Tay Ping Hui. When it opened in 2009, the hotel had a collection of about 900 artworks, representing more than 200 artists from 15 countries. It has hosted big-name exhibitions such as a 2012 show with Opera Gallery on the sculptures of the great Surrealist artist Salvador Dali, including notable pieces such as Space Elephant, Alice In Wonderland and Nobility Of Time. In 2013, Israeli artist Yaacov Agam marked his 85th birthday at the resort with a solo exhibition of 18 works, The Unexpected - Time In Art. The resort's front lawn is adorned by sculpture The Arc by French artist Bernar Venet, while a Nikolas Weinstein hand-made glass chandelier hangs in its grand ballroom. Being located in a rainforest, Capella has its resident critters. Guests are sometimes visited by peacocks, which have been known to stroll past at breakfast or around its terraced pools. Scattered across the property are a number of heritage trees, some a century old. The hotel is within walking distance of a beach, and is also near the Sentosa Golf Club - ideal for Mr Trump, who is known for his love of golf.